Before considering which watch brands can you sell online you must consider the value of your watch first. A luxury watch is just like a diamond. You can take your diamond and sell it anywhere in the world. Similarly, you can take your used luxury watch to a pre-owned luxury watch shop to sell. With the help of the internet and technology, these shops are creating a worldwide market for used luxury watches. However, to get the exact value in return for your loved luxury watch you must evaluate it properly and mind you this can be a complex process just as the intricate machinery that helps these watches run perfectly over time. There are different brands, make and model of luxury watches and all may have significant value to you as well as to it. But that does not mean it will sell well and fast at a high price when you want to sell it online. You will need to know about the conditions of the secondhand market as well as the demand of the particular brand of luxury watch that you want to sell off. 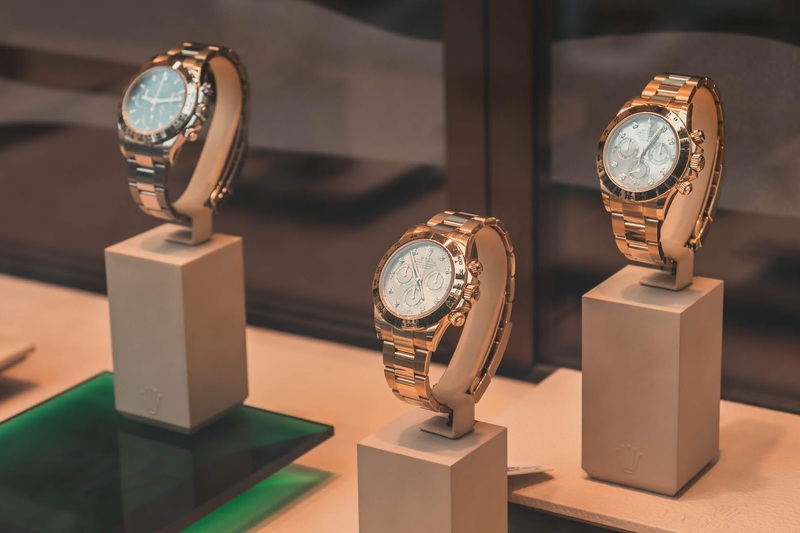 However, if you are lucky to own one or a couple of these following brands of luxury watches, chances are high that your watch will not sit unsold in the list for a long time. Rolex: This is the most coveted brand and the leading name in luxury watch market, primary as well as secondary. You will find one or a couple of pieces of a Rolex watch with some of the most prominent celebrities such as athletes and film stars. A Rolex watch is a consistent and most recognized mark of workmanship and quality and very closely associated with collectability. Therefore, it is natural that a Rolex will be perpetually in high demand and at the same time will command one of the highest resale values around. Patek Philippe: The name Patek Philippe stands out as one of the most significant luxury watches that is an epitome of Swiss watchmaking excellence. It is the most prestigious of all luxury watches that has a very strong resale value. Popular models such as the Calatrava created in 1932 sell like hotcakes at high prices being a classic and elegant signature piece of Patek. Cartier: You can also sell your watch easily at a high price online if it is a Cartier. These luxury watches embodies precision, elegance, style, functionality and bold aesthetics. All these qualities and signature attributes help it to retain a high resale value. It has been synonymous with luxury since 1847 and high-end Cartier watches are popularized throughout the world by Alberto Santos Dumont who was a Brazilian aviation pioneer and complained about struggling to handle his pocket watch during flight. Omega: This is another luxury watch that is high in demand, new or old. Coming from the Swiss luxury watch manufacturer the Omega signifies strong performance and have a wide reputation in the resale market. It fetches high price and results in a quick sale due to it lineage and widespread history of significant accomplishments that includes being the first watch used on the moon, being NASA’s watch of choice, being the official timekeeping device of the Olympic Games since 1932 and a long list of celebrity users such as JF Kennedy, James Bond, and Prince William. Breitling: This is the elegant piece coming from the leading luxury watch manufacturer. It is considered to be the specialist in technical watches. It is widely used by several divers and has lines inspired by aviation. Being cent percent Swiss made it is COSC tested and approved. These watches make excellent sports timepieces renowned for its exceptional performance and durability. If you have such a luxury watch in your kitty, rest assured to get an excellent resale price. Jaeger LeCoultre: This is a watch that is named after a person famous for his string of inventions. These watches will surely find a high resale value online. These watches are considered one of the most complicated watches that have been manufactured ever in the world. One of the most popular lines till date is the Reverso designed and manufactured in 1931. It had a unique swivel case that had the ability to withstand shocks even on the polo field. IWC: These types of watches are considered to be a major player in the entire history of watchmaking. IWC is once again considered one of the most popular Swiss watch brands since 1868. It also holds one of the highest resale prices. The infamous Pilot watch in this line is known for its elegance and luxurious features and it till date one of the most sought-after model of luxury wristwatches by men all over the world. Chopard: The Chopard brand is also a good watch that is high in demand and can sell pretty fast when you list it online. It will fetch you high price due to its reputation for precision, reliability and most importantly their diverse collections. This brand will offer a wide array of options to all types of watch sellers and buyers. The secondhand market has a high demand for it and remains to be the most effective place to sell your watch. Tag Heuer: Do not waste time in listing your Tag Heuer online if you own one and want to sell it off. This is one of the most recognizable, popular and useful sporty brands in the luxury watch category that has a wide market and high demand and price. It has some of the best names of celebrities in sports, films, and business as its legion of followers. Therefore, you will sell it pretty fast in the second-hand market if you price it right. Piaget: You can even sell a Piaget which is known and demanded its innovative designs, unique style, flair, and creativity. Therefore, there is a huge scope of earning a considerable amount provided you have the right brand of luxury watch to sell online.